This Policy describes the information that SIMPLY ESCAPE (“we” or “us”) gathers on or through the Service, how we use and disclose such information, and the steps we take to protect such information. By visiting the Site, or by purchasing or using any Services, you consent to the privacy practices described in this Policy. This Policy is incorporated into, and is subject to, our Terms and Conditions of Business. Capitalised terms used but not defined in this Policy have the meaning given to them in our Terms and Conditions of Business. We use the information – other than Client Data – to understand and analyse the usage trends and preferences of our Visitors and Users, to improve the Service, and to develop new products, services, features, and functionality. Any information that you voluntarily choose to include in a Public Area of the Service, such as a chat forum or a banner advertisement, will be available to any Visitor or User who has access to that content. We respect your privacy rights and provide you with reasonable access to the Personal Data that you may have provided through your use of the Services. If you wish to access or amend any other Personal Data we hold about you, or to request that we delete any information about you that we have obtained from an Integrated Service, you may contact us as set forth in the “Contact Us” section. At your request, we will have any reference to you deleted or blocked in our database. You may update, correct, or delete your Account and or Account information and preferences at any time by contacting us at info@simply-escape.co.uk or by contacting us as described within the “Contact Us” section. Please note that while any changes you make will be reflected in active user databases instantly or within a reasonable period of time, we may retain all information you submit for backups, archiving, prevention of fraud and abuse, analytics, satisfaction of legal obligations, or where we otherwise reasonably believe that we have a legitimate reason to do so. You may opt out from the collection of navigation information about your visit to the Site by using the Google Analytics Opt-out feature. If you receive commercial emails from us, you may unsubscribe at any time by following the instructions contained within the email or by sending an email to the address provided in the “Contact Us” section or writing to info@simply-escpe.co.uk. Users are able to view and modify settings relating to the nature and frequency of promotional communications that they receive from us by using the unsubscribe or manage subscription option link contained within the email. If a Client requests us to remove any data, we will respond to its request within fifteen (15) days. We will delete, amend or block access to any Personal Data that we are storing only if we receive a written request to do so from the Client who is responsible for such Personal Data, unless we have a legal right to retain such Personal Data. We reserve the right to retain a copy of such data for archiving purposes, or to defend our rights in litigation. Any such request regarding Client Data should be addressed as indicated in the “Contact Us” section, and include sufficient information for us to identify the Client and the information to delete or amend. We may work with a variety of third parties to attempt to understand the profiles of the individuals who are most likely to be interested in our Services so that we can send them promotional emails, or serve our advertisements to them on the websites and mobile apps of other entities. We, or the third parties with which we work, use the information collected as described above to understand the various activities and behaviours of our customers, Site visitors and others. We, or these third parties, do this for many reasons, including: to recognise new or past visitors to our Sites; to present more personalised content; to provide more useful and relevant ads – for example, if we know what ads you are shown we can try not to show you the same ones repeatedly; to identify visitors across devices, third party websites and sites, or to display or send personalised or targeted ads and other custom content that is more focused on a person’s perceived interest in products or services similar to those that we offer. We follow generally accepted industry standards to protect the information submitted to us, both during transmission and once we receive it. We use ISO certified cloud services and applications. We maintain appropriate administrative, technical and physical safeguards to protect Personal Data against accidental or unlawful destruction, accidental loss, unauthorised alteration, unauthorised disclosure or access, misuse, and any other unlawful form of processing of the Personal Data in our possession. This includes, for example, firewalls, password protection and other access and authentication controls. We use TLS technology to encrypt data during transmission through public internet and ISO certified cloud services and applications, [and we also employ application-layer security features to further anonymise Personal Data. We may transfer personal information outside the European Economic Area (EEA) (which comprises the countries in the European Union and Iceland, Liechtenstein and Norway) to the US on the basis that the organisation receiving the information has provided adequate safeguards by way of being signatories of the EU-US privacy shield. Wr will ensure that staff are adequately trained regarding their data protection responsibilities. Individuals whose roles require regular access to personal information, or who are responsible for implementing this policy or responding to subject access requests under this policy, will receive additional training to help them understand their duties and how to comply with them. 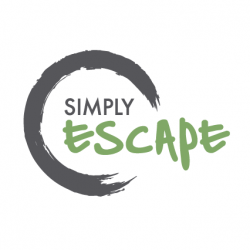 Please contact us with any questions or comments about this Policy, your Personal Data, our use and disclosure practices, or your consent choices by email at [info@simply-escape.co.uk].